What makes the grand national the best steeplechase in the world? 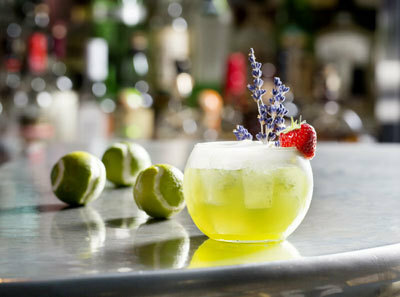 In celebration of Wimbledon, guests at GNH Bar at Great Northern Hotel can enjoy a bespoke Fred Perry cocktail. 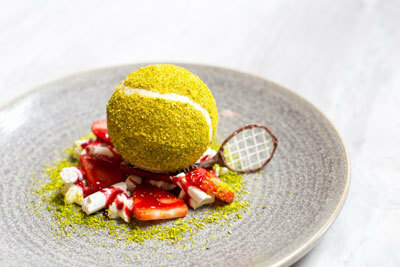 Named after the British tennis legend and served in a spherical glass to represent a tennis ball, the drink features a refreshing mix of gin, cucumber, lemon and basil with sweet vanilla, strawberry and elderflower and is finished with pepper cream. 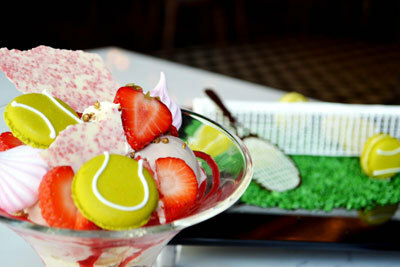 Available for £9.00 throughout Wimbledon, Fred Perry is the perfect Wimbledon serve. Kensington’s popular fish and seafood brasserie is taking inspiration from Andy Murray’s winning streak, with its ace Murray-Tini cocktail. 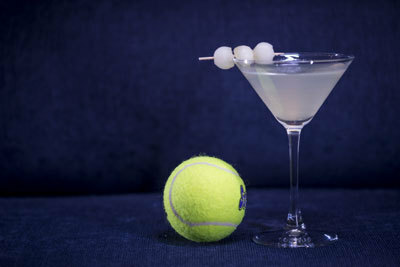 Available from 26th June until Wimbledon’s final serve on Sunday 16th July, the cocktail blends unfiltered Belvedere vodka and Cointreau with lemon juice, Honeydew melon, Angostura bitters and mint. 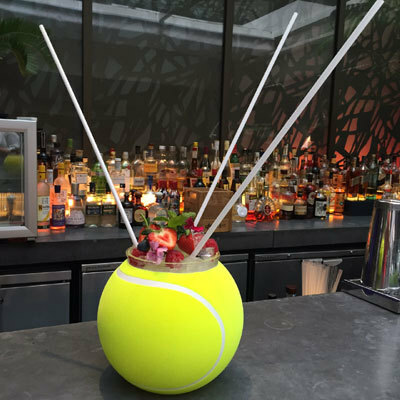 Priced at £9.75, it’s the most refreshing way to toast the world’s number one male player. The City’s Michelin-starred seafood restaurant is gearing up for the men’s final with a special screening on its rooftop terrace. Scheduled for Sunday 16th July, the final will be played out on a large Bang and Olufsen screen and, just like Centre Court, a fully retractable roof will keep fans at Angler dry. Ticketholders will also be guaranteed a deckchair and offered a tub of white-chocolate-and-strawberry-meringue artisan ice cream courtesy of Northern Bloc, a gourmet Scotch egg and a refreshing cocktail. Tickets can be ordered at Design My Night for £28 each and doors open at 1:30pm. 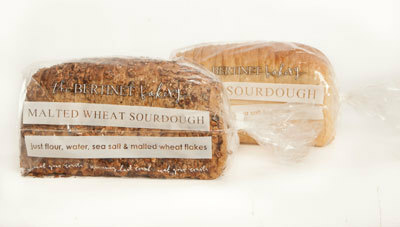 Prepare the perfect picnic sandwich on some homemade sourdough by The Bertinet Bakery, made using only 3 ingredients (4 in the case of the malted wheat), the range contains no additives, preservative or processing aids yet stays soft enough for a sandwich for 4 days, making it suitable for all the family and every occasion. As Britain’s love affair with Middle Eastern cuisine continues to grow, James Walters and Executive Chef, David Jones spice things up by suggesting purchasing a punnet of tomatoes on a hot day and making a simple tomato salad, slinging with only a drizzle of olive oil, salt, pepper and generous sprinkling of za’atar (wild herbs and toasted seeds for a fresh taste sensation). Or simply squash the tomatoes on to a piece of sourdough that’s been rubbed and brushed with garlic and finish with a glug of peppery green olive oil, a twist of salt, pepper and a sprinkling of herbaceous za’atar. The Arabica Food & Spice range’s za’atar is addictive with warm sourdough bread and olive oil, sprinkled onto creamy, strained yoghurt, eggs and salads, or as a seasoning rub for slow-cooked meat and poultry. What is a picnic without the perfect rose? 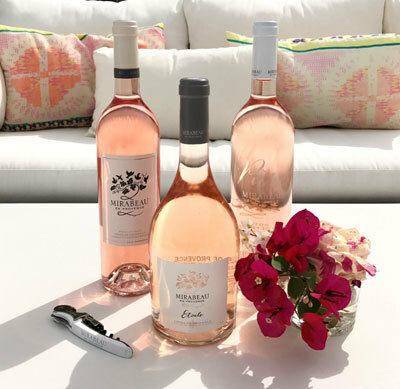 Mirabeau en Provence's award-winning roses are ideal as aperitifs and for sharing good times with friends and family. Choose from three beautiful wines, Mirabeau Classic, a vibrant pink coloured Côtes de Provence made from beautiful hillside vineyards to the south-east of Aix-en-Provence and Mirabeau Pure, a very pale, delicate rosé made from some of the highest vineyards in the region. The latest addition to the range is Mirabeau Etoile, a stunning, lychee coloured rosé with crystalline nuances available exclusively at Sainsbury’s. Finish off with an utterly delicious mini ice cream tube from Jude’s in Hampshire. Try exciting and refreshing flavours of G&T with Sipsmith Gin, Mango & Passionfruit and Black Coconut ice cream to knock your socks off while soaking up the sun - with over 40 Great Taste awards you won’t be disappointed. Finally, for a little more extravagance in honour of Wimbledon, The Private Travel Company are arranging Mauritius tennis week with former Great Britain No.1 and renowned commentator Andrew Castle. Running from 25th September – 3rd October 2017, guests will be guided through a fun and varied week of coaching clinics – with a chance for game and technique analysis, exhibition matches, and a tournament at the end for those who want to compete, all against the beautiful backdrop of Mauritius. Staying at the luxurious Shandrani Beachcomber Resort & Spa, the hotel is positioned on the unspoiled south of the island on its own peninsula, encircled by three beaches. With six floodlit hard courts centrally located in the resort, the property is popular for both couples and families, with a lively atmosphere, fabulous all-inclusive package and an excellent range of activities. 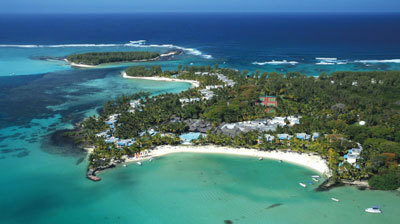 Overlooking the Blue Bay Marine Park and housed in 70 acres of award winning tropical gardens those staying at Shandrani Beachcomber Resort & Spa will get to enjoy the glorious September weather in Mauritius – perfect for playing tennis. The Private Travel Company (theprivatetravelcompany.co.uk) is offering seven nights from £2,399pp for tennis players and £1,899pp for non-tennis players, based on 2 people sharing on an All-Inclusive basis, including return flights and transfers.